Signal Bridge No. 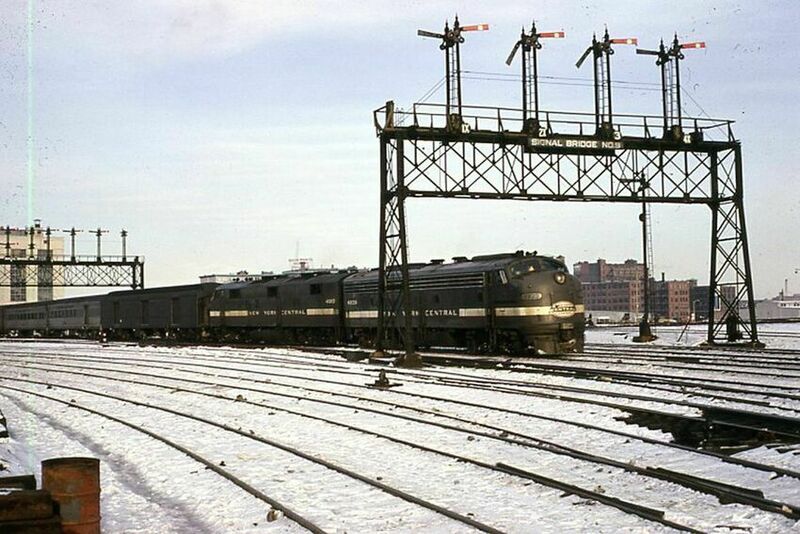 9 has one of its semaphores dropped to the clear position to beckon on The New England States headed by an E-8 and E-7 as it departs Boston for its overnight journey to Chicago. The adjacent track also has a clear signal, probably for New Haven's Gilt Edge that departed about the same time. Added to the photo archive by Ron DeFilippo, March 18, 2019.